Accommodations in centrally-located three-star or four-star hotels. Rooming on a triple basis. Double rooms: $520 per person. All breakfasts. One lunch. All dinners. Heuriger dinner in the Vienna Woods on Day 9. This is the big day! 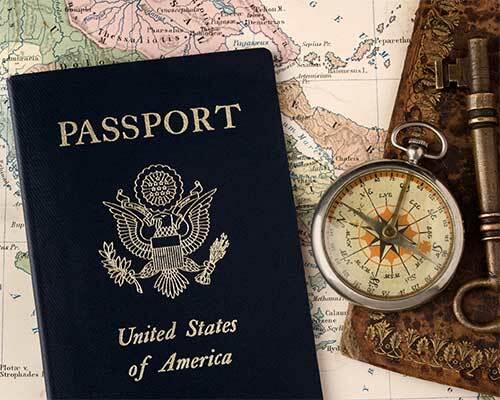 Depart the United States for Europe via scheduled carrier. Watch the morning light gather slowly, first off the left-hand side of the airplane then everywhere. Now it's the next day, and Poland! Settle in and set out to explore Poland's former capital city, which suffered little physical damage in WWII. The city's outstanding historic center was declared a World Cultural Heritage site by UNESCO. You may want to stroll along Cracow's Florianska Street, which is known for St. Florian's Walls Gallery and Jama Michalika, a favorite haunt of Polish artists, some of whom paid their bills in artwork. Among the many architectural highlights of Cracow, you will see are the Neo-Gothic buildings of Cracow University, with the statue of its most famous student, Copernicus. A local guide, well-educated and specially-trained on the history and culture of Cracow, will accompany you today. Discover the Gothic and Renaissance treasures of Wawel Hill, crowned by Wawel Castle and Cathedral, which you will visit. The latter was the coronation site and burial place of Polish monarchs as well as the See of the former Archbishop of Cracow, Karol Wojtyla, who became Pope John Paul II. Enjoy some free time in Cracow today. Set out for the towns of Oswiecim and Brzezinka, better known outside of Poland by their German names of Auschwitz and Birkenau. Known as Auschwitz I and Auschwitz II, the camps set up there formed the largest concentration and death camp complex in the Nazi world. At that time, there were 44 railroad tracks in the Auschwitz train yard, the final destination for a web of rail lines spread all over Europe. Millions of men, women and children from 29 countries were gassed and cremated in Auschwitz during the Holocaust. Visit the Jewish Museum established in the house of a Jewish family of the old town of Auschwitz. It's part of the Auschwitz Jewish Center, along with the restored Synagogue and other sites. Today's ride takes you through the rolling foothills of the Tatras Mountains and up to the town of Zakopane, a popular winter and summer mountain resort situated at an altitude of 3,000 feet. Marvel at the breathtaking panorama as you ride the cable car up Kasprowy Wierch, a Tatras summit 6,500 feet high that marks the border with Slovakia. You may want to plan a hike in the footsteps of Pope John Paul II who spent many summers in this region, leading youth groups. Enjoy some free time in Zakopane today. On a stroll through town, take notice of the quaint architecture, reminiscent of a Swiss village with its churches and wooden houses. Try some homemade ice-cream, which ranks among the very best in Poland! A traditional folklore performance is included this evening. There's a full day's drive today through the little-known mountainous terrain of Slovakia. The Carpathian Range arcs across central Europe, providing sports enthusiasts dozens of protected natural preserves, cut off from outside influences for many centuries. The predominantly Gothic towns have preserved their medieval character: steep, shingled roofs, high gables, brick-arched doorways and central town squares bordered with the grand dwellings of Renaissance merchants. Your destination is the capital city of Hungary. A sightseeing introduction to Budapest provides an unforgettable panorama of Hungary's thousand-year history. Drive up Gellért Hill for a spectacular view embracing the beautiful parks on Margaret Island, the proud Danube bridges, and the 110-foot-high Liberation Memorial. Continue across the Danube and tour the new town of Pest. Among its most breathtaking monuments are the Parliament buildings, facing the river, and the monumental Square of the Heroes. A half-day local guide, well-educated and specially-trained on the history and culture of Budapest, will accompany your group. Visit Castle Hill, where you'll stroll through the Palace Courtyards to visit Matthias Church and see the celebrated neo-Gothic fantasy of the Fishermen's Bastion. Renowned for its scenic appeal and lively atmosphere, Szentendre became a flourishing artistic colony, first established by the 19th-century painter Károly Ferenczy. Visitors stroll at leisure along the Danube Promenade and down cobblestoned streets where artists and artisans shops abound. Set out to explore the Old Town, a charming center adorned with 18th-century Baroque landmarks, notably the Main Square and its Cross, the Blagovestenska Church (walk in to view the Rococo interior), and a wealth of townhouses, such as the 1768 Rab Ráby Ház. Tonight, enjoy dinner with some local color at a Czarda gypsy folklore show! An excursion today takes you west to Hungary's favorite playground: the largest lake in Central Europe. Before the fall of the Iron Curtain in 1989, when Hungary was a disenchanted member of the Eastern Bloc, Lake Balaton became one of the few places where citizens of the East and West could meet, even if the secret police's "Balaton Brigade" kept watch. Nowadays, tourists still flock to the "Hungarian Sea" in the summertime, attracted by resorts such as Siófok, famous for its beaches and dubbed "Capital of Balaton." Don't miss the Castle Hill cafés, notably Ruszwurm, the country's oldest pastry and tea shop. You may want to plan a visit to one of Budapest's Turkish-style baths. Today's journey takes you across the rolling hills of Western Transdanubia. Enjoy a sightseeing stop in Gyor, where the cathedral stands proud, surrounded by the streets and squares of the Old Town, one of the great baroque jewels in Hungary. Travel to Fertod, a town not too far from Austria. A sightseeing stop will introduce you to this town, which was formed in 1950 and is the location of one of Hungary's best-known palaces. Time permitting, you may choose to visit the newer Esterhazy Palace. Completed in 1766, the "Hungarian Versailles" was designed to rival the palaces of the Hapsburg monarchs, and turned out to be one of the most opulent in Central Europe with its 126 rooms and opera house. Haydn, a resident of the palace for 30 years, had many of his works performed here for the first time. Cross the border to Vienna. Take a stroll in the Old Town. Hearken to the music, which floats everywhere in the air. Why not treat yourself to a slice of Sachertorte at Café Demel, which is renowned for its fine pastry chefs? A wealth of sights is yours to discover today. 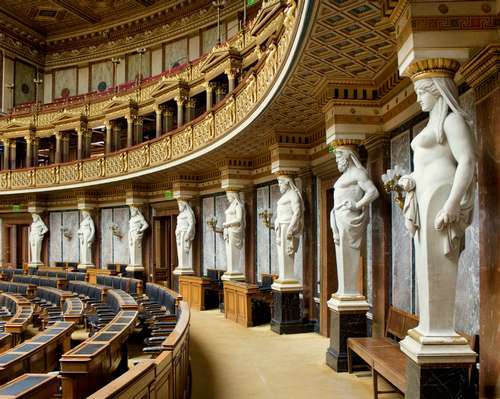 See the Opera House, the Houses of Parliament and Emperor Franz Joseph's Hofburg Palace. A city within a city with more than 2,600 rooms, the Hofburg also houses the Imperial Treasury and the Burgkapelle, which features the world-renowned Vienna Boys Choir. See the Heldenplatz, where Hitler announced the Anschluss (Annexation) of Austria to the German Reich in 1938. A half-day local guide, well-educated and specially-trained on the history and culture of Vienna, will accompany your group. Enjoy a visit to a royal hunting lodge which was transformed into a magnificent summer palace for the Hapsburg monarchs. Outside and inside, Schloss Schönbrunn presents a dizzying display of Baroque and Rococo art. The park, with its fountains, is one of the finest examples of 18th-century landscape architecture. You could climb the 345 steps of the Old Steffel, the south steeple of St. Stephen's Cathedral, to catch a bird's eye view of the city. Visit Freud's house or the House of Music, a museum which uses the latest in audiovisual techniques to offer unequaled, hands-on encounters with music making. Don't miss the Prater Amusement Park (free of admission charge). Attractions (each with a fee) range from old-fashioned carousels to the high-tech Flyboard flight simulator and, of course, the Vienna Ferris Wheel, featured in Orson Wells' 1949 film The Third Man and in James Bond's The Living Daylights. The Riesenradplatz, nearby, is a sparkling venue at night with its shops and restaurants. Tonight's dinner at a typical Heuriger restaurant in the forested hills of the Wienerwald will be a fitting tribute to a joyful capital city of palaces and music. Travel to Melk, a town on the banks of the Danube River that's a gateway to the Wachau Valley. Enjoy a guided tour of Melk Abbey, which overlooks the Danube from a height of 150 feet. The present Baroque building was begun in 1702 by the Benedictines and reflects their extravagant style. Napoléon used the abbey as headquarters during his campaigns against the Austrians. 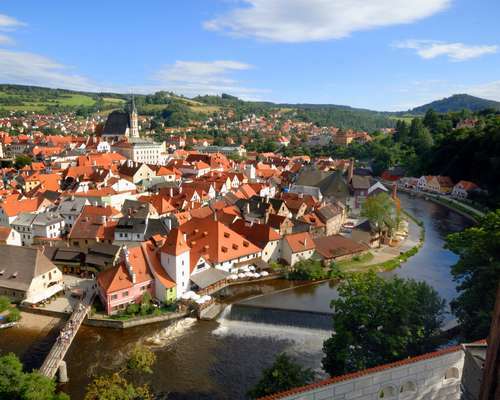 Cross the Czech border and continue into southern Bohemia to the town of Ceský Krumlov, such an exceptional example of a Central European medieval city that it has been added to UNESCO's World Heritage list. Enjoy a walking tour led by your tour director. See the 13th-century castle, the 15th-century Church of St. Vitus, burghers' dwellings, and religious institutions which together form a memorable ensemble of Renaissance and Baroque architecture. This morning, travel past many a medieval town, each dominated by its spire and castle, before reaching the village of Karlstejn. You will visit the famously photogenic Karlstejn Castle. Perched high on a pine-covered hill, this castle was used by Charles IV in 1348 as a hideaway. The Crown Jewels were once kept in the lavish Chapel of the Holy Cross, nestled between eighteen-foot-thick walls. 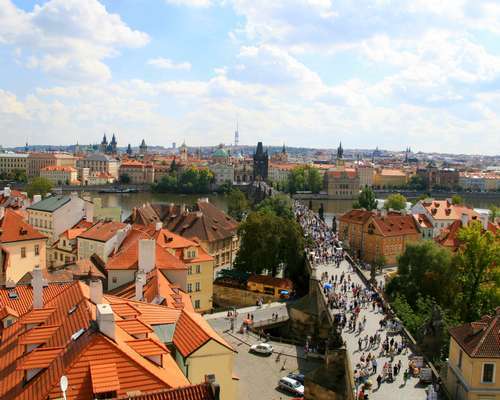 Travel to Prague, Eastern Europe's prettiest city! It was mercifully spared major damage in World War II, and its classical 19th-century buildings are strikingly reminiscent of Vienna, once its sister city in the Austrian Empire. See the major landmarks of "Golden Prague" on a sightseeing tour of the city: Charles Bridge (one of the first stone bridges in Europe), the Old Town Square with the Town Hall and its Astronomical Clock, Tyn Church, Wallenstein Palace, Wenceslas Square, the Archbishop's Palace (where Amadeus was filmed), Charles University, and the Bethlehem Chapel, where the Reformer Jan Hus preached. A half-day local guide, well-educated and specially-trained on the history and culture of Prague, will accompany your group. Head up Hradcany Hill to have a look at the courtyards of Prague Castle and their monumental gates. Enjoy some free time in Prague today. Walk along the Vltava River (Smetana's Moldau). Cross the Charles Bridge and wander through Mala Strana along Nerudova Street, the old coronation route of the Czech kings, now bedecked with cafés and souvenir shops selling genuine Bohemian glass. Set out on a guided tour of Prague's Jewish Quarter. You will hear about the great 16th-century scholar, mystic and philosopher Rabbi Löw, who was credited in later centuries with the creation of the Golem of Prague, a monster brought to life to protect Prague's Ghetto against anti-Semitic pogroms. Although ghetto dwellings were razed in the 1890s and 1900s, many Jewish sites have been preserved as the "Jewish Museum of Prague." During your tour, you will visit some of these sites. The poignant Old Jewish Cemetery is one of the oldest Jewish burial sites in Europe. It was used from 1478 to 1787 for an estimated 100,000 burials. Today, 12,000 gravestones are crowded in its small space, including the headstone of Rabbi Löw, where visitors still leave notes scribbled on bits of paper. The walls of the Pinkas Synagogue are inscribed with the names of 80,000 Jewish victims of the Nazis. The Spanish Synagogue is known for its Moorish Revival sanctuary built in 1868 on the site of the Old Synagogue. The Maisel Synagogue was built by the mayor of the Jewish Town, Mordechai Maisel, who funded the Renaissance reconstruction of the entire ghetto in the early 1900s. The Klausen Synagogue was the largest synagogue in the ghetto. The Ceremonial Hall and Mortuary of the Old Jewish Cemetery was completed in 1912. The Robert Guttmann Gallery's permanent collection displays parchments, old books, and historic textiles in light and climate-controlled rooms. Travel through the "Garden of Bohemia," planted thick with orchards and vineyards, on your way to the Czech-German border and the former Kingdom of Saxony. Continue on the Autobahn, headed to Berlin. You're about to discover a city that has risen from the scars of World War II and the Cold War to reclaim its former splendor as the capital of a reunited Germany. Potsdam Square, long a desolate sector of East Berlin, is once again its most vibrant district. "Ich bin ein Berliner!" On a guided tour of the city, you'll understand why John F. Kennedy made this claim on behalf of all world citizens. See Rathaus Schöneberg, where 1,500,000 West Berliners flocked to hear this speech in 1963, the Brandenburg Gate, the Reichstag, the imposing Soviet War Memorial, Kurfürstendamm, the historic Unter den Linden, now checkered once again (under its trees) with Western-style sidewalk cafés, and what's left of the Berlin Wall. 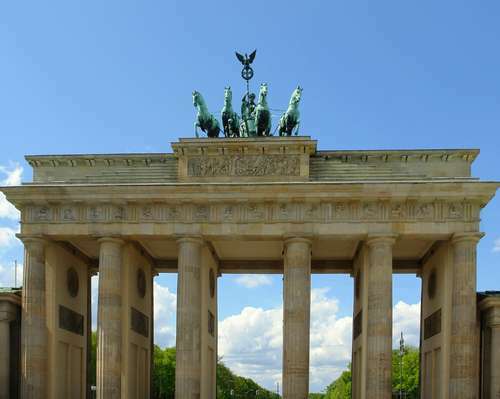 A half-day local guide, well-educated and specially-trained on the history and culture of Berlin, will accompany your group. Delve into the city's gripping history at the Checkpoint Charlie Museum. As the best-known crossing point between East and West Berlin, Checkpoint Charlie became a symbol of the East/West split of both Berlin and Germany, and, for East Germans who wanted to escape, a gate to the West. Enjoy some free time in Berlin today. You may want to visit the Berlin Wall Memorial, opened in 1998 and dedicated to the victims of the Wall and the partition of Germany. In addition to the Memorial, the site includes the Berlin Wall Documentation Center, which illustrates the history of the Wall, and the Chapel of Reconciliation, inaugurated on November 9, 2000, the 62nd anniversary of Kristallnacht. Make your way to the Memorial to the Murdered Jews of Europe, built near the Brandenburg Gate. Inaugurated in May 2005, this is the first monument commissioned by the reunited Germany. It commemorates the Shoah, the extermination of six million Jews from all over Europe, which was planned in this very city, little more than a half century ago. The design of the monument, by New York architect Peter Eiseman, is very striking: a stark field of 2,711 plain concrete blocks of varying heights that reflect ever changing light and shadow. An underground Information Center lit by natural light provides historical documentation. "Lebewohl, auf Wiedersehen und Tschüss," as they say in this part of the world. Don't forget the German phrases you've learned as you board your westbound flight for home. You'll need them again when you return.